Coleman Taylor Transmissions Remanufacturing Division has been remanufacturing automatic transmissions since 1961 in Memphis, TN. 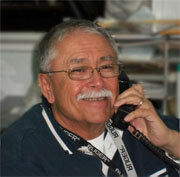 Please allow our 58+ years of experience to help assist you with any technical problems you have. Simply call 1-866-616-0179 to talk with our friendly experts. We have a large inventory of hard to find classic / nostalgic car transmissions, along wiht high performance transmissions! Warranty: 3 year, 100,000 mile nationwide warranty. A qualified transmission technician helps you.